Make this Ramadhan a Truly Memorable One with an Exquisite Feast! 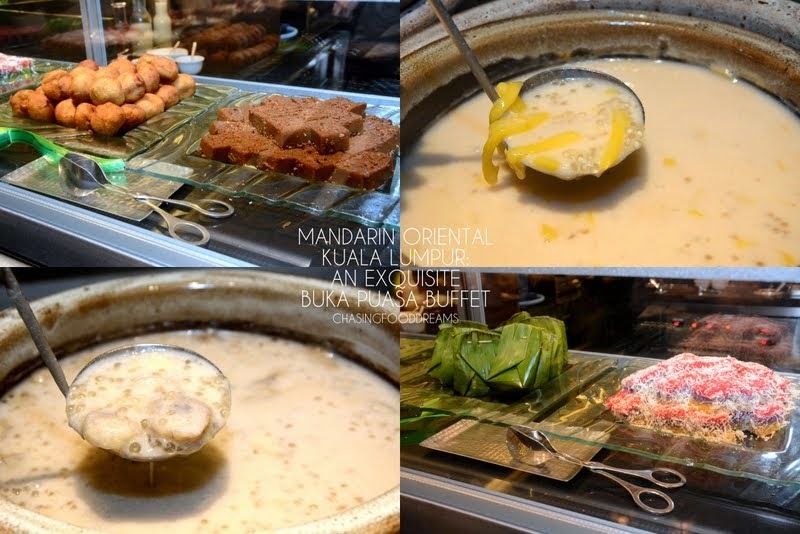 From 29 June to 28 July 2014, head over to the exquisite Mandarin Oriental Kuala Lumpur for an Exquisite Buka Puasa feast filled with a medley of local and gastronomic delights. 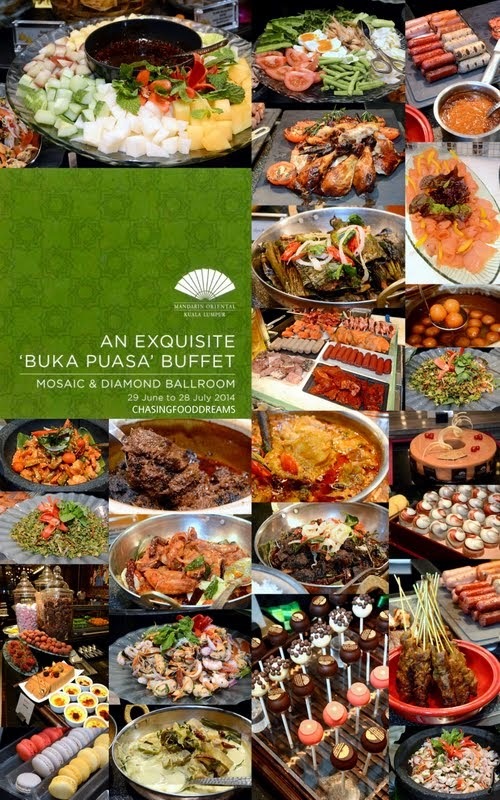 The opulent Buka Puasa buffet is held at two distinctive venues at Mosaic, and all-day dining restaurant and Diamond Ballroom. My fifth installment under the places to Buka Puasa this year, this one has always deserved a standing ovation for its spread. 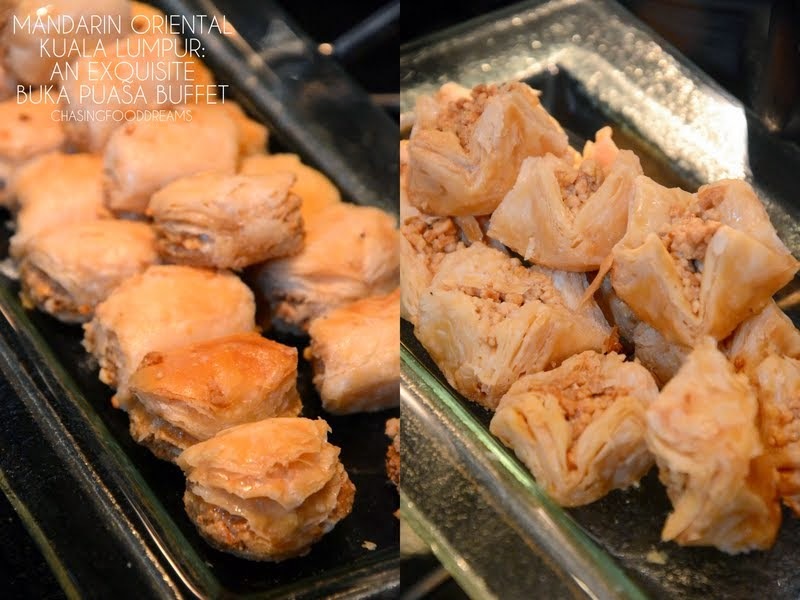 The buffet has always been filled with scrumptious dishes prepared by Malay sous chef, Chef Kamarudin Bin Dali. Chef Din, as he is more commonly known, has over 10 years of experience in authentic Malay cuisine. A multi-award winning chef, Chef Din is set to impress many with his family’s age-old recipe of Beef Rendang and many more. It’s always an unforgettable dining experience at Mosaic. 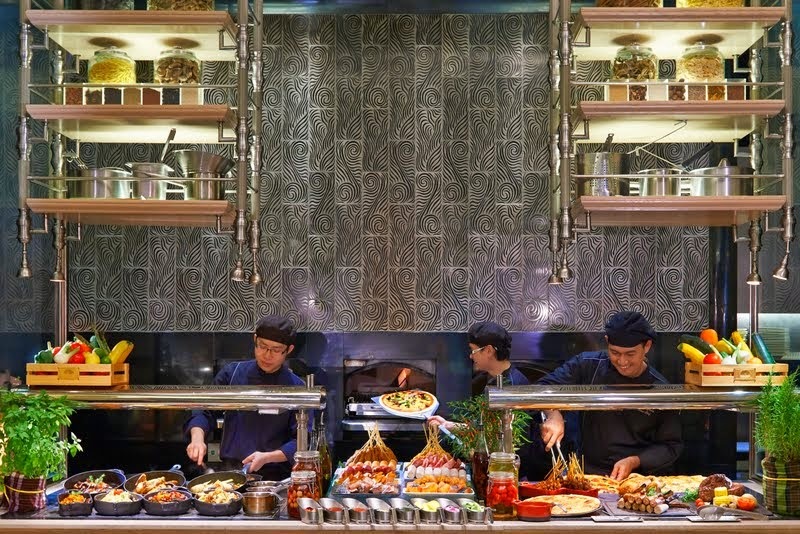 The buffet spread consists of many stations serving gorgeous cuisines from all over the world. Tease your palate with the mouthwatering plates of authentic Kerabu, Ulam and Acar with assorted Sambals. 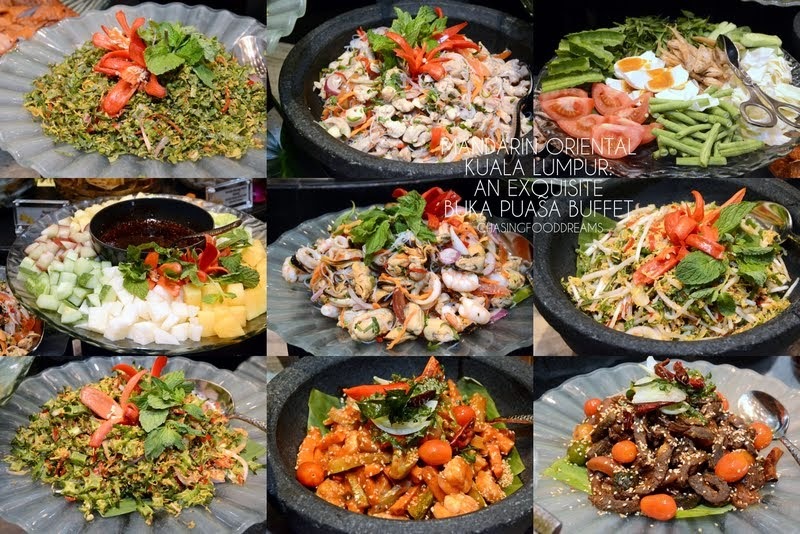 Highlights of the kerabu include Kerabu Mangga Muda Sotong Kering, Acar Daging Panggang, Kerabu Jantung Pisang Ikan Bilis, Acar Udang Tradisi, Kerabu Pucuk Paku Dengan Taugeh, Kerabu Daun Selom Dan Udang, Salad Ulam Kampong, Kerabu Ayam Herba, Herba Kerabu Makanan Laut, Kerabu Kacang Botol Kerisik and Rojak Buah. Let’s not forget the Aneka Keropok and Aneka Jeruk Buah. Besides the Malay salads, there is also a Salad Bar, Arabic Mezze, Freshly Baked Bread and Rolls. Next to all the lovely salads are heated pots of Lemang and Beef Rendang together with Serunding Ayam and Serunding Daging. Seafood Raw Bar is always a popular station and it filled with lots of Steamed Prawns, Clams, NZ Mussels, Flower Crab and Fresh Oysters. 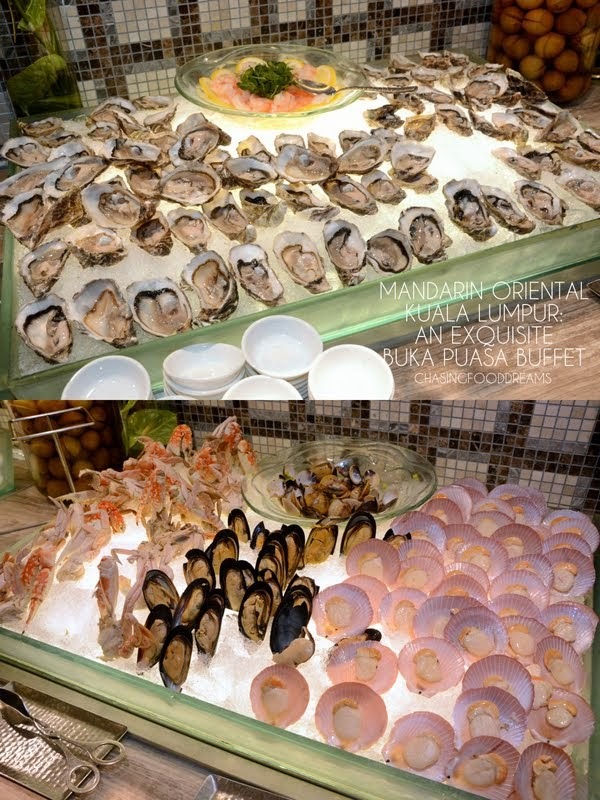 Enjoy the oceanic experience of the sea treasures together with Japanese Sushi and Sashimi and Smoked Fish. Bubur Lambuk is another great dish to warm up the palate after a long day of fasting. Savor the hearty Chicken and Chickpea Bubur Lambuk or other Malay soups such as Sup Tulang Rawan, Soto Ayam, Sup Makanan Laut Bersantan, Sup Kambing Ubi Kentang and Sup Ekor Sapi Dengan Ubi Kentang available on daily rotation. 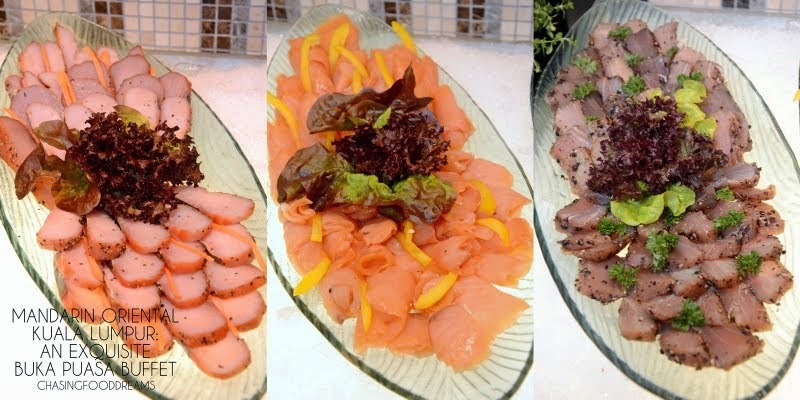 My favorite reason to visit Mosaic is the live BBQ station offering prime cuts of meat, seafood and sausages all grilled on charcoal upon order. The station is filled to its max with lots of sauces and condiments to go with the BBQ as well. There is also the Carving station featuring high quality cuts of Roast Beef, Chicken and Lamb. Satay is another must-have during this season so savor thick chunks of Chicken or Beef Satay with Ketupat and Satay Sauce. On the same BBQ station, for those who enjoy Western dishes are also treated to an array of Italian Stone Oven Baked Pizza, Roast Vegetables, Shepherd Pie, Pasta and more. 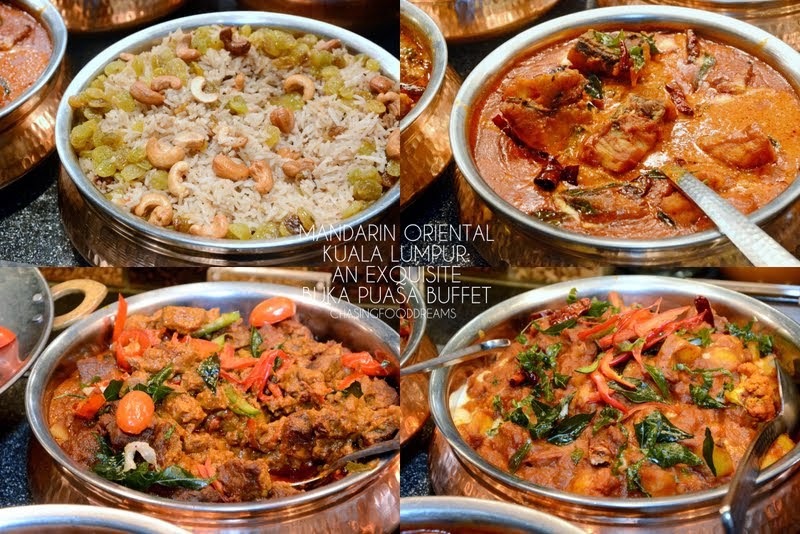 The hot buffet station offers luscious Malay, Chinese and Indian dishes that are guaranteed to satisfy any foodie. It is always a difficult choice as the dishes on this buffet are utterly divine with rice. 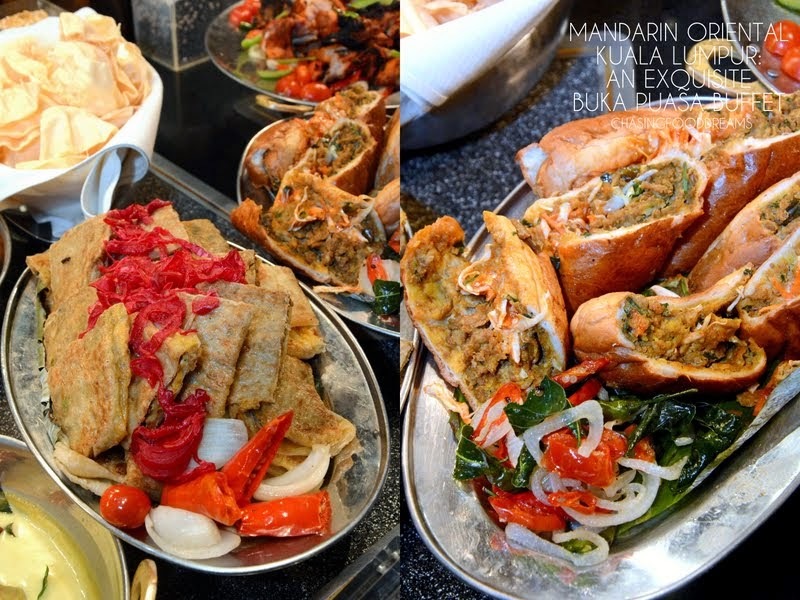 Chef Din’s traditional Malay dishes include Daging Temasik, Ayam Kurma Seri Melayu, Sambal Udang Galah, Ikan Bakar Pais and Gulai Lemak Nangka Muda. Expect lots of wonderful flavors from all the spices, herbs and coconut beautifully cooked and presented in little copper woks. The Indian spread has always been my favorite and I continue to rave about it each year. This round, it’s a spread of Myailapur Lamb Varuvalm Amritsari Fish Curry, Goan Chicken Curry, Jheenga Masala, Egg Briyani, Kashmiri Pulao, Chicken Tandoori, Naan, Murtabak, Assorted Chutneys and more. Curries here are rich, thick and oozing with flavors. Pile on the curries on rice or bread and enjoy the awesomeness! The Chinese station offers Braised Ee-Fu Noodle with Seafood, Wok Fried Mushrooms and Broccoli with Oyster Sauce, Lemon Chicken, Chinese Style Black Pepper Beef, Steamed Fish and more on daily rotation. There is even a Pasta station and a Noodle Station. 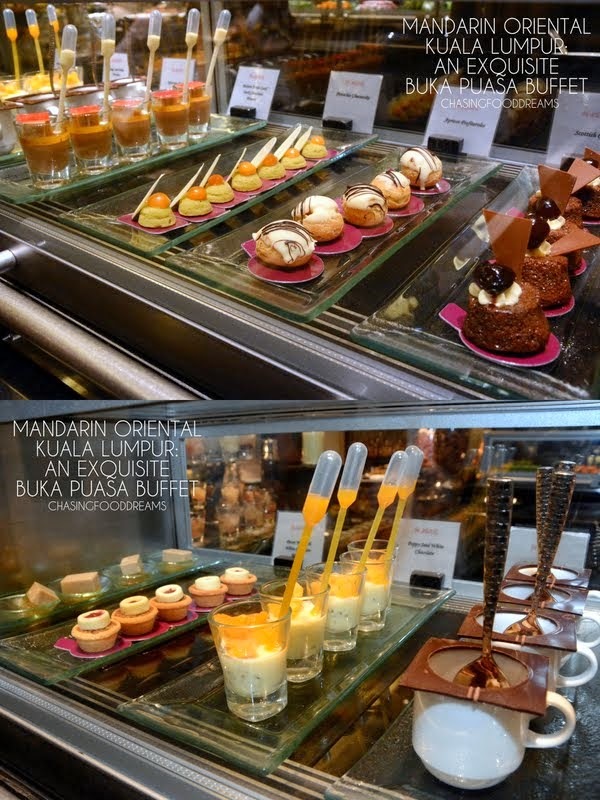 It would be a crime to miss out any desserts at Mosaic! 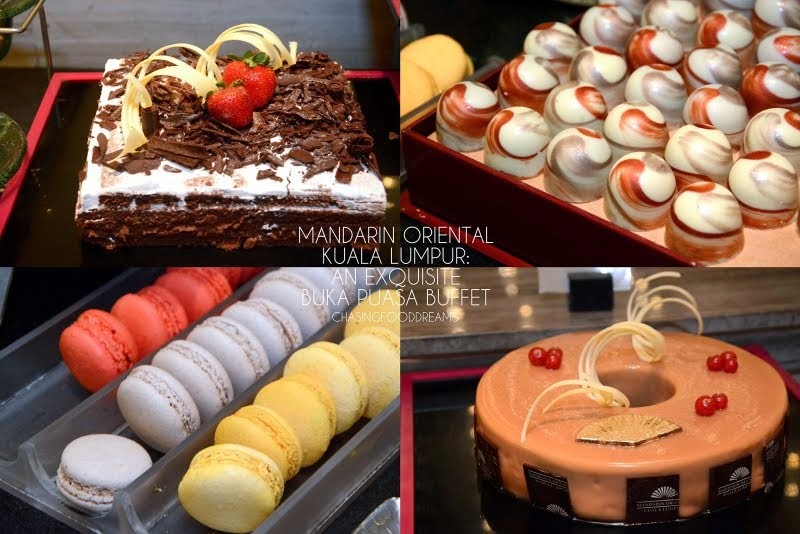 Famed for their exquisite sweet creations, the dessert spread features lots of Malay Kuihs and Hari Raya Cookies this round. Enjoy Apam Gula Hangus, Kuih Lapis, Kuih Ketayap, Kuih Kochi, Puteri Ayu, Pandan Lapis, Kuih Keriah, Kuih Wajid,Lapis Legit, Lapis Sarawak, Tapai, Kurma and more. Hot Sweet Bubur such as Bubur Pulut Hitam, Bubur Kacang Hijau Durian, Bubur Cha Cha, Bubur Jagung Manis and Pengat Keledek are available together with other Chinese Hot Sweet Desserts. From Chocolate Fountains to its House made Ice Creams and all the gorgeous Western Cakes and Desserts, it is a beautiful ending on a day’s pampering. 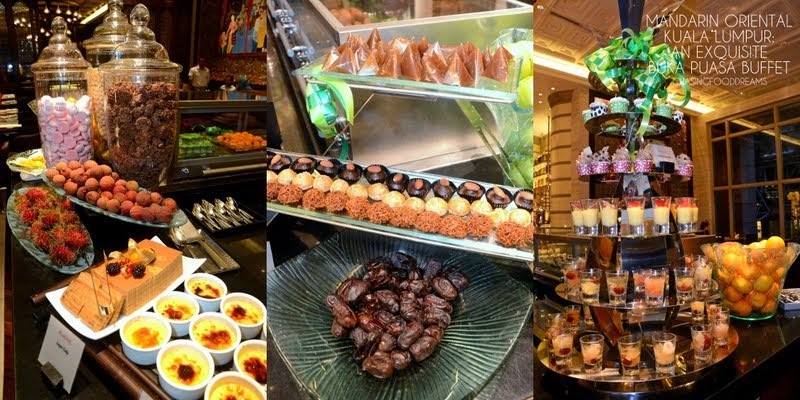 A truly bountiful Buka Puasa buffet…. For a tinge of festivity amidst an exclusive backdrop, enjoy Buka Puasa in the Diamond Ballroom for groups of five and above. 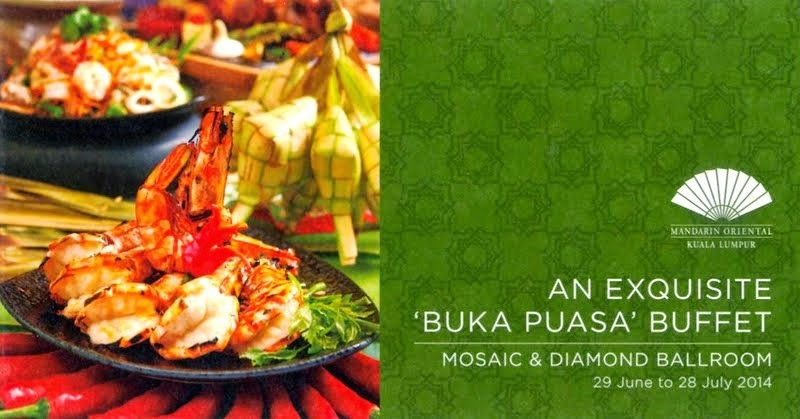 The Ramadhan Buffet is priced at RM138++ per person for both Mosaic and Diamond Ballroom. wow so many dishes to try! that bubur lambuk looks especially promising though! Love the local delights. They all look so good!